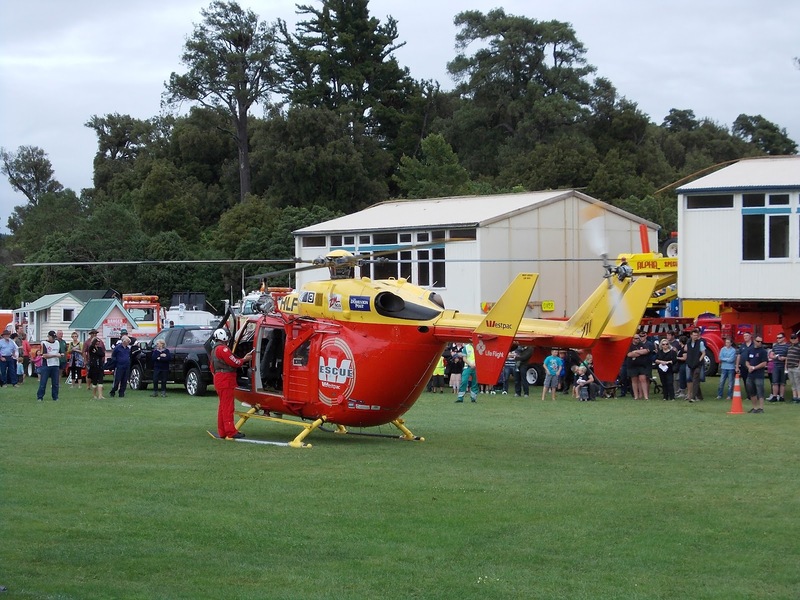 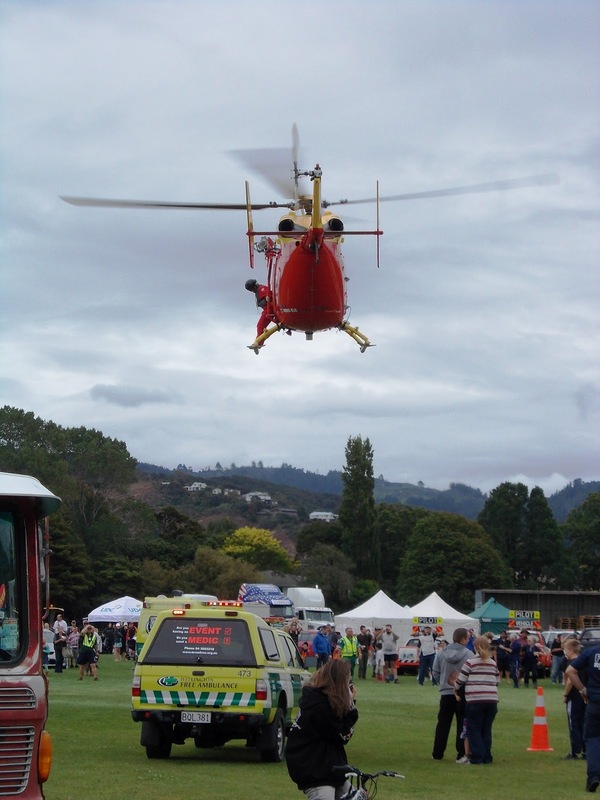 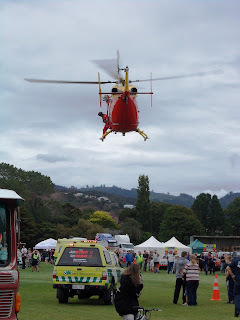 More images from the "Life Flight Trust" Truck Show. 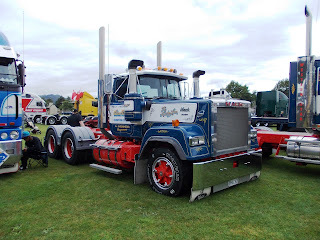 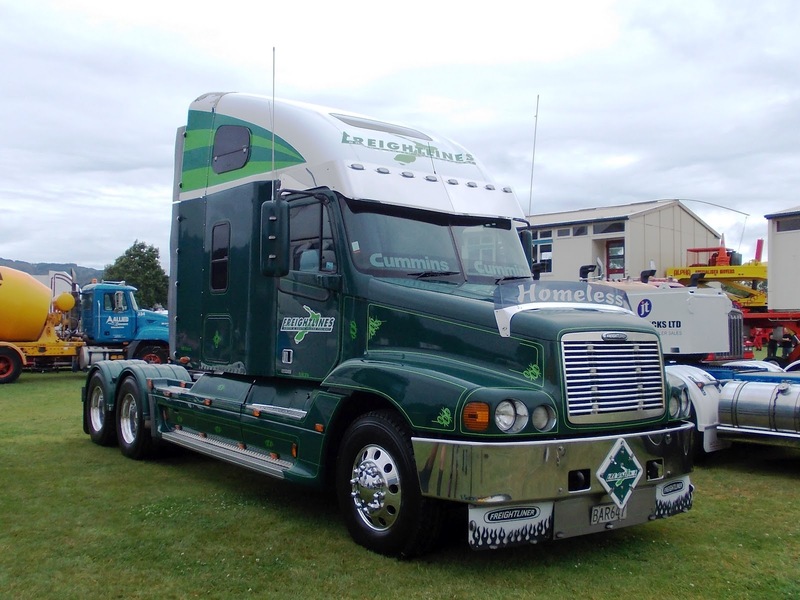 Big sleeper on this Freightliner. 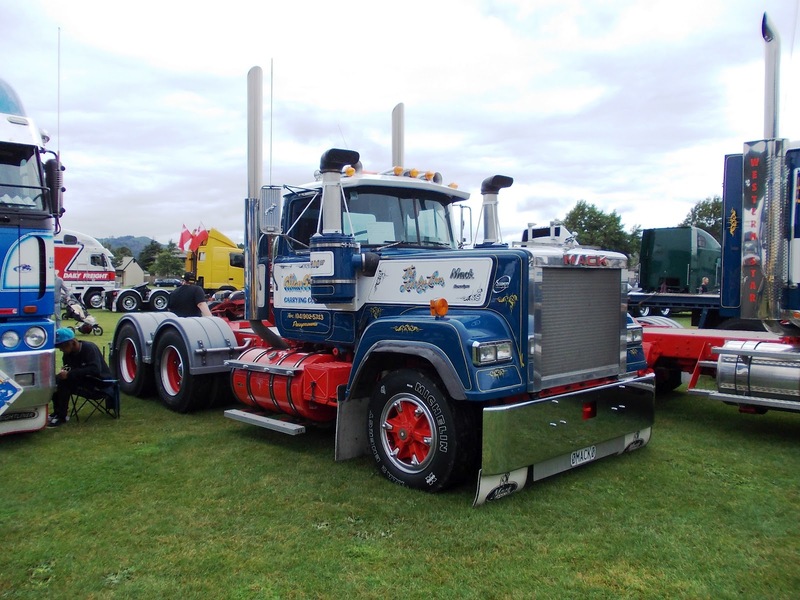 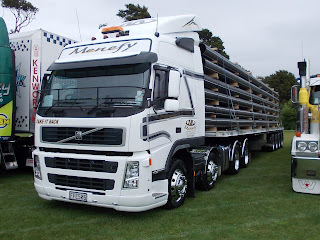 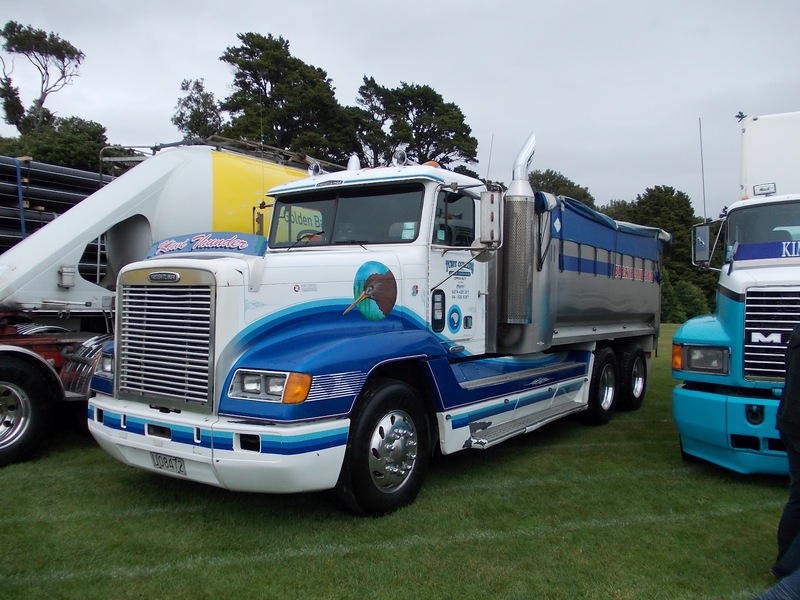 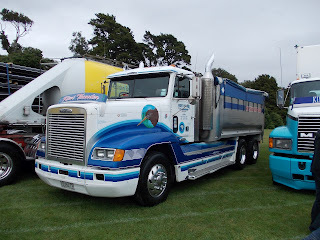 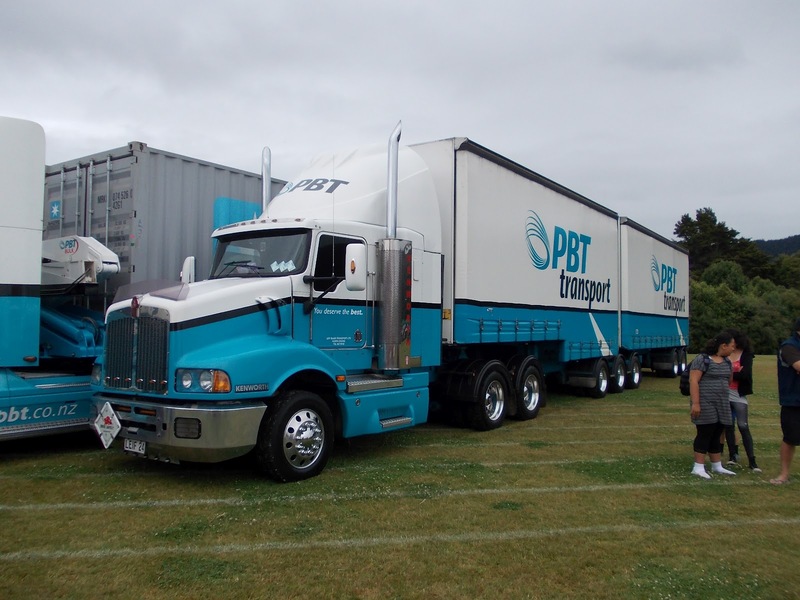 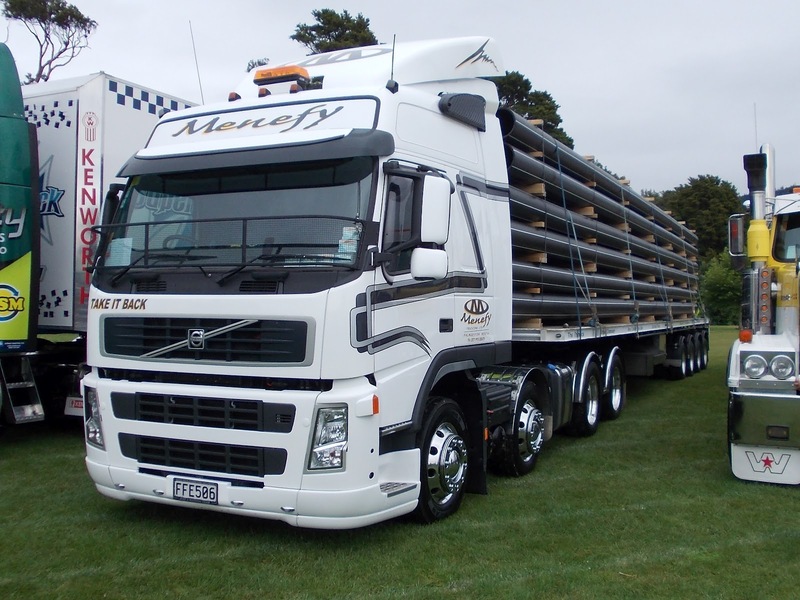 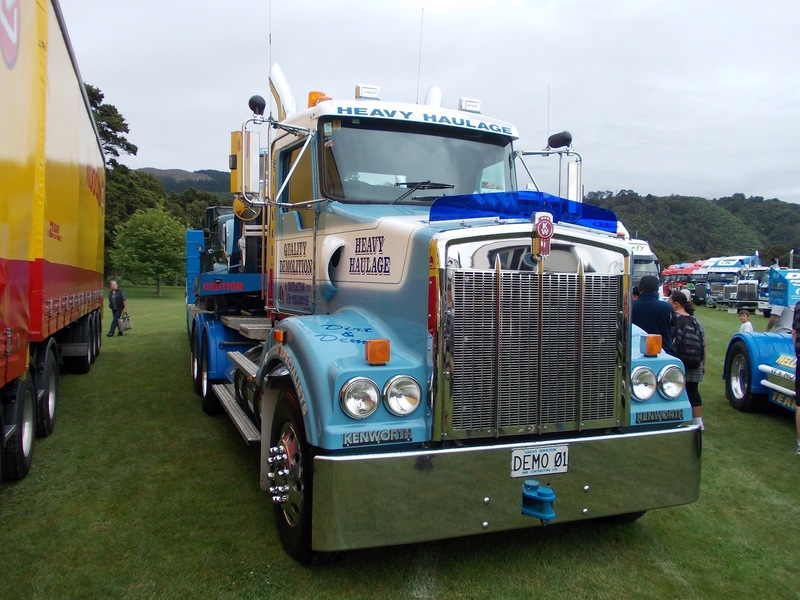 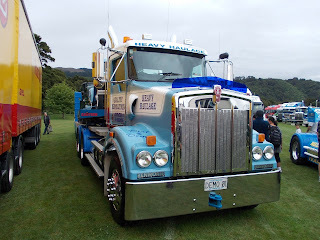 Menefy's displayed their 4 axle Volvo and 4 axle trailer with a load. 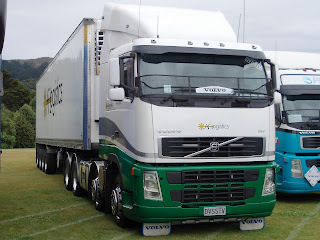 Another 4 axle Volvo with 4 axle trailer of AF Logistics, who keep the Foodstuffs supermarket chains stocked up. 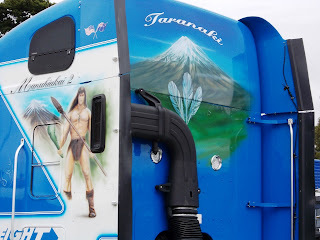 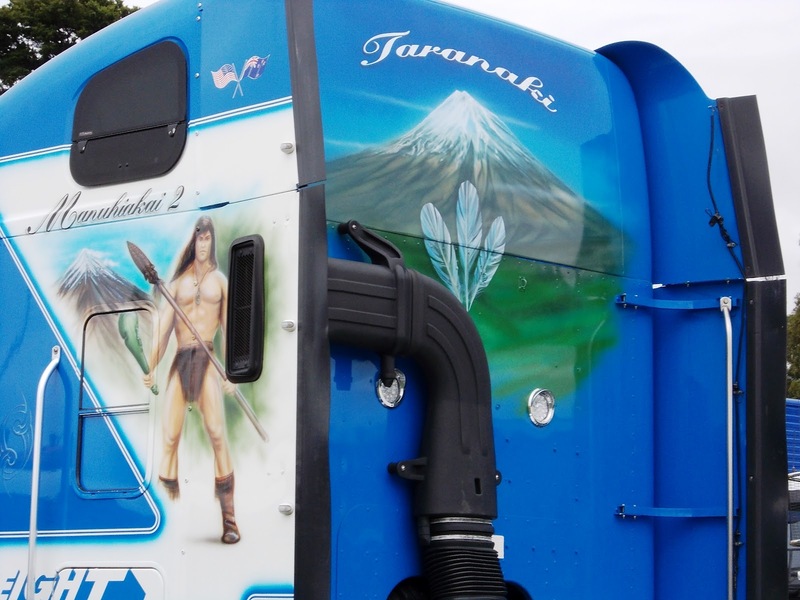 The Peter Baker trucks seem to be seen everywhere. 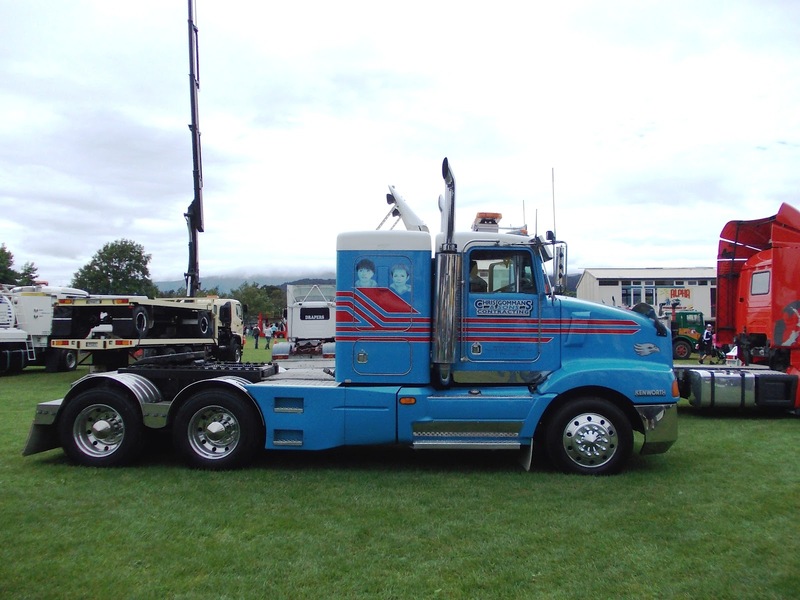 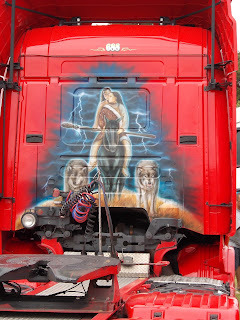 Kenworth with small sleeper and apicture of the kids on the side. 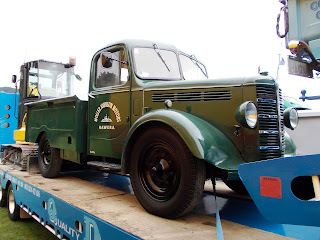 A bunch of oldies in various states of restoration. 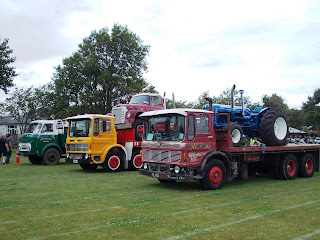 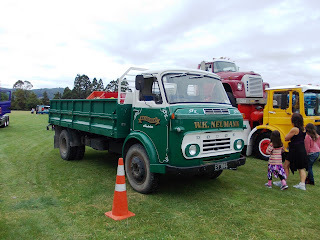 Dodge, International, Leyland, AEC and Fordson. 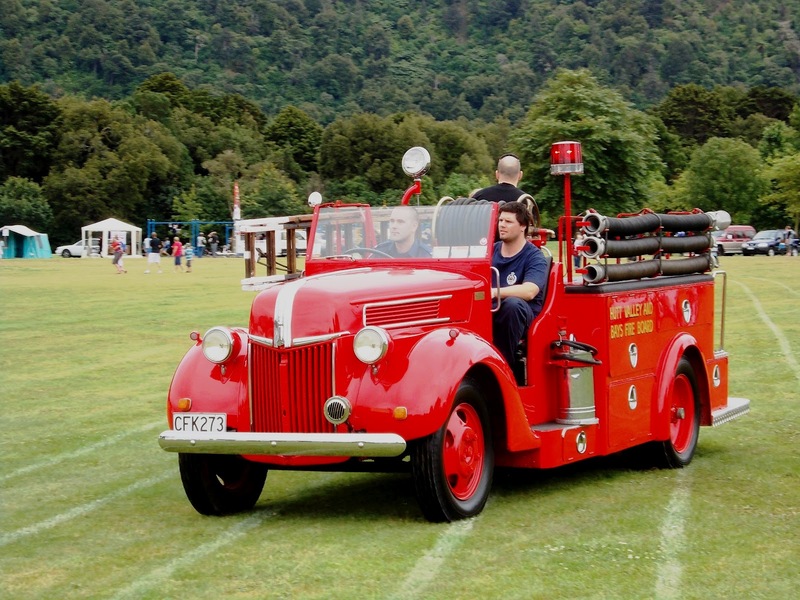 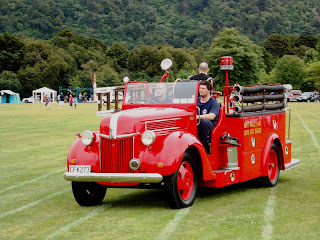 Ford V8 fire appliance ran quietly as those old side-valves usually do. The "Life Flight Trust's" Bolkow-Kawasaki dropped in for a few minutes.